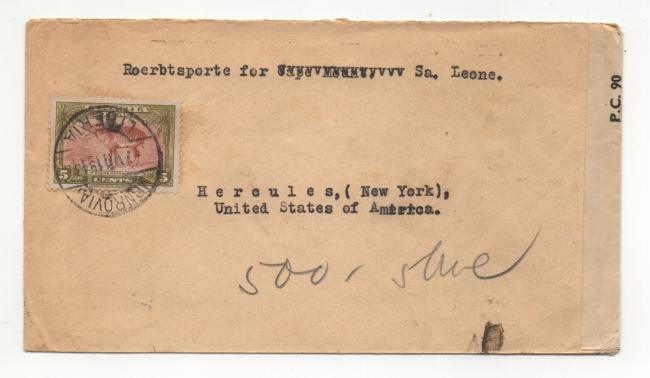 Here's a cover from Monrovia/Robertsport via Sierra Leone to New York. With a 'OPENED BY EXAMINER QQ/15' LABEL. 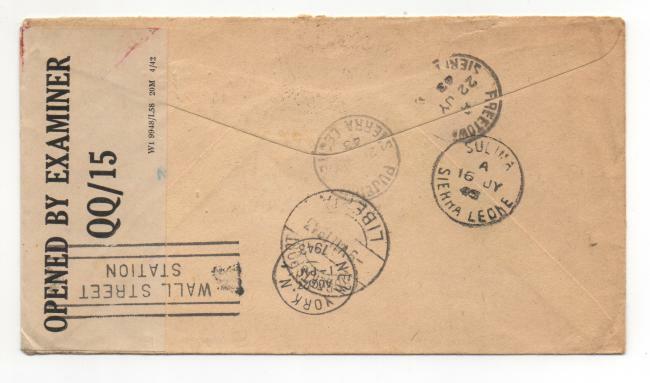 With the following postmarks.